Provide comfort for the family of Dolly Harrison with a meaningful gesture of sympathy. 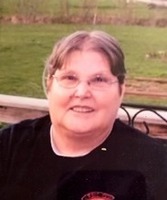 Dolly Marie Harrison, of Proctor, WV died Wednesday, January 23, 2019 while at Acuity Care in Bellaire, OH. She was the daughter of the late Charlie and Mae (Dunkin) Litton. She was a homemaker, graduate of Tyler County High School, enjoyed hunting and fishing to the point that she and the love of her life went squirrel hunting on their wedding day and she attended the Paden City Church of Christ, with her son. In addition to her parents, she was preceded in death by two brothers, Roy and Harry Litton; and three brother-in-laws, Junior Harrison, Carl Kocher and Jerry Yoho. Surviving are her husband of forty-two years, Dotson Harrison; two sons, Gary Lee Litton of Proctor, WV and Chad E. (Natasha) Harrison of Paden City, WV; daughter, Crystal G. Harrison of New Martinsville, WV; brother, Bud Litton; six sisters, Marcella Harrison, Jeanette Kocher, Donna Jo Litton, Patty Litton, Midge Yoho and Shirley Litton; her grandchildren were very special to her. At Dolly’s request there will only be private services. To send flowers in memory of Dolly Marie Harrison (Litton), please visit our Heartfelt Sympathies Store. We encourage you to share your most beloved memories of Dolly here, so that the family and other loved ones can always see it. You can upload cherished photographs, or share your favorite stories, and can even comment on those shared by others. Provide comfort for the family of Dolly Marie Harrison (Litton) by sending flowers. We are so sorry to hear about the passing of Dolly. Thoughts and prayers for Shorty and family. I am sorry for your loss. Continue to reflect on your cherished memories together. May God’s promise of a resurrection bring you comfort and hope during this difficult time. John 5:28, 29.